Foil forms are specialized in manufacturing a premium assortment of Aluminium Alloys Casting that is widely appreciated in the market. 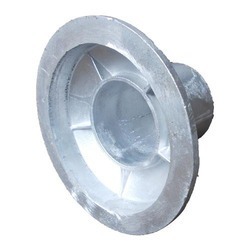 We are engaged in manufacturing and supplying the finest quality array of Aluminum Alloys Castings Cover. These products are manufactured using high grade raw material such as aluminum under the supervision of our highly experienced professionals. Products offered by us are known for their sturdy construction and durability. Pioneers in the industry, we deals with Aluminium Alloy Pattern Casting . Offered casting are widely appreciated by our clients for their high pressure and temperature resistance. The molds, we offer are available in customized dimensions and demanded in various engineering industries. Pioneers in the industry, we deals with Aluminium Alloy Casting. Offered casting are widely appreciated by our clients for their high pressure and temperature resistance. The molds, we offer are available in customized dimensions and demanded in various engineering industries. We are a unique entity in the industry, actively committed towards offering an optimum quality range of Aluminum Alloy Casting. With enriched industrial experience and knowledge, we are providing a wide range of Aluminum Alloy Casting. Right Time Engineering Pvt. 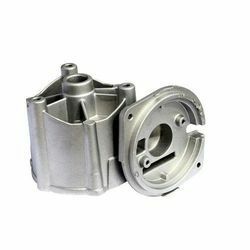 Ltd.
Owing to precise shape and outstanding quality our Aluminium Alloy Casting Parts are in huge demand from across industries involved in manufacturing machine parts, automobiles and electrical equipments. Our casting parts offer high level of flexibility in terms of integration and operations, there by significantly reducing the secondary operations and increasing the machine's life. We offer very good quality aluminium alloy die-casting for our customer. Aluminium gravity die casting per ASTM standards for fans, impellers, diffusers, etc. with machining and dynamic balancing. It was made by aluminum alloy steel. it used in casting process.